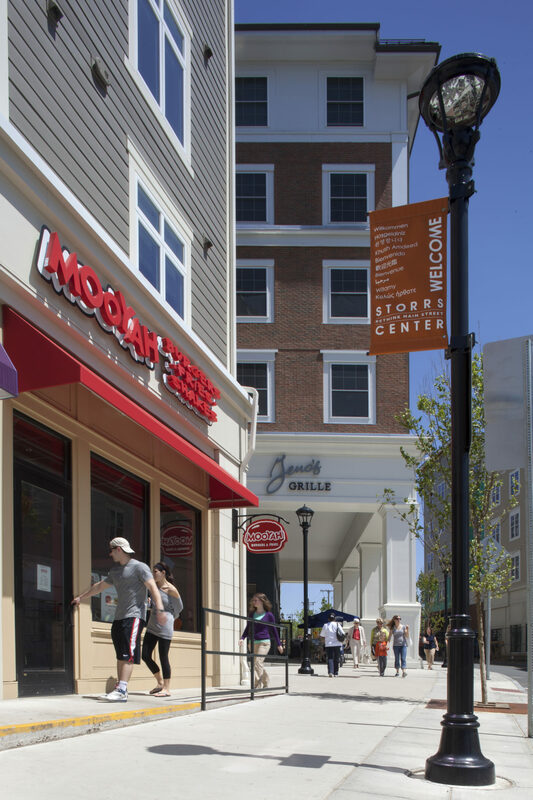 Storrs Center is a mixed-use town center and main street corridor at the crossroads of the Town of Mansfield, Connecticut and the University of Connecticut. 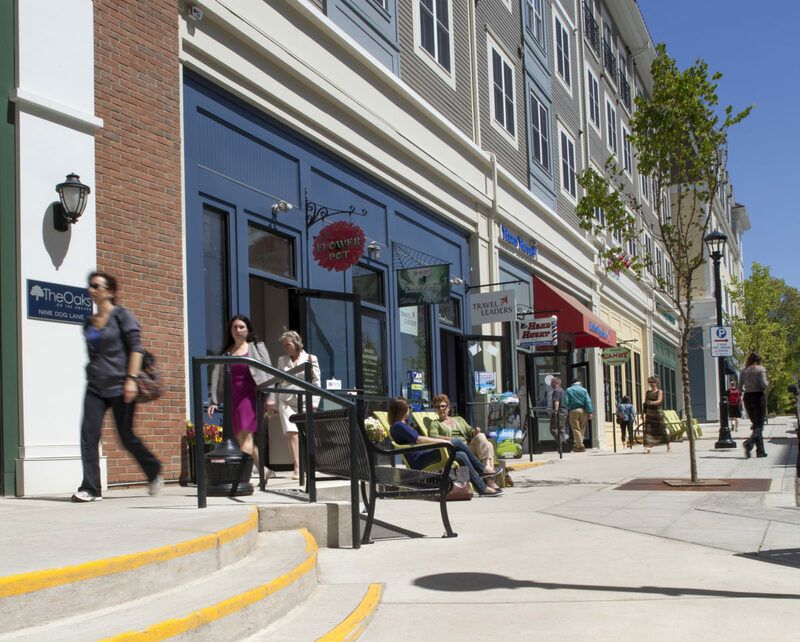 The Storrs Center master plan knits quality architecture, pedestrian-oriented streets, and public spaces into a series of small neighborhoods that make up the new fabric of the town center. 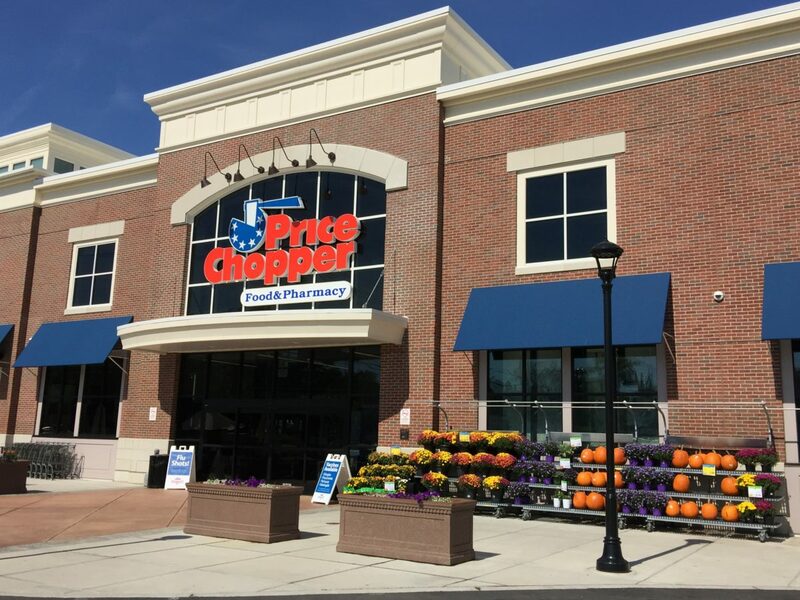 Storrs Center combines retail, restaurant, and office uses with a variety of residence types.